Madonna just couldn’t help herself again! While her producer Guy Oseary twittered away on Wednesday, she took over his account and blogged about how happy she was being single. Oseary wrote, “Sitting here with Madonna. Firstly she wants to say hello to all the iconers out there. Madonna wants to thank all of you that took the time to send in their thoughts for g-hits (Greatest Hits) album. 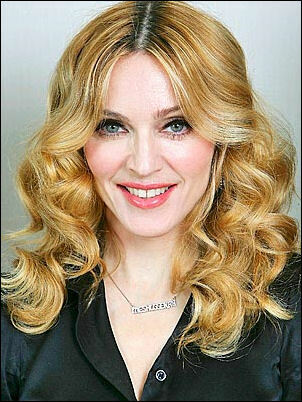 We will be online for the next 10 minutes.” After one of Oseary’s followers named Nickfirth wrote, “Hello Madonna honey am glad you are single again – you made your best music as a single woman! yeehaw!” she responded, “NOT AS GLAD AS I AM! M……………” The Three Stooges is hitting the big screen with Sean Penn as Larry, Jim Carrey is in negotiations to play Curly, and Benicio Del Toro is in the running to play Moe.